With an area covering the whole Atlantic Coast of West Ireland and more there’s PLENTY of activities to enjoy. From beautiful beaches to picturesque towns, to island life and traditional music, simply chose your home from home then then take your pick to find your way however you like. 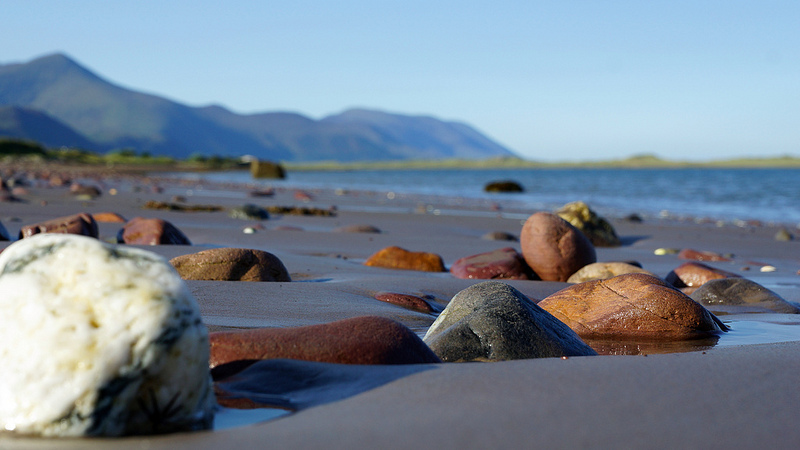 One of our favourite places to visit if we are looking for a nice relaxing vacation is the Achill Island. Here you’ll find many smaller villages and many more wonderful beautiful beaches. One of the most stunning beaches is the Keem Bay Beach. 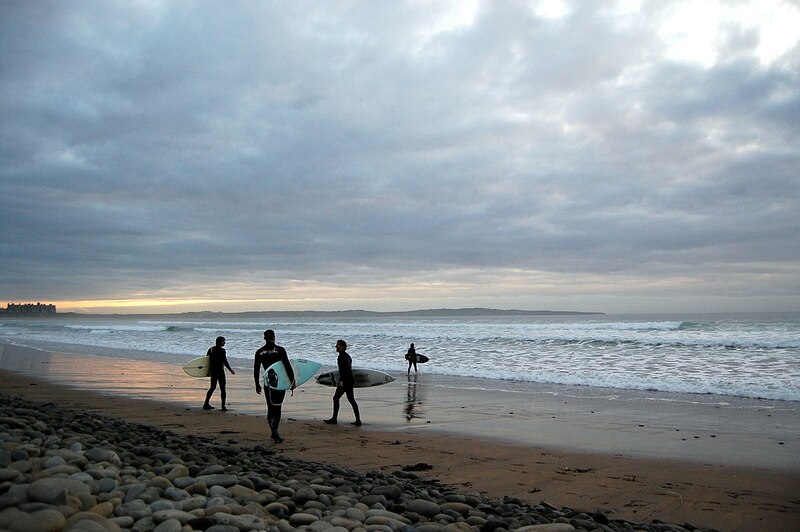 Due to its location it makes it perfect for water sports, such as surfing and body boarding in the sun. There are also many other picturesque beaches located nearby including the Keel beach. The area is also home to The Achill Experience. This is an aquarium located near the Keel beach and is a must see if you are near the area. It is opened to 5pm everyday and is a great experience for young kids. Overall ‘the experience’ has a total of 16 tanks with a mix of Tropical fish and fish that are found in the nearby Atlantic Ocean. The town of Keel also has a small art gallery. It showcases some art of the surrounding area. There is also a golf course and historic landmarks such as ‘The Deserted Village’, and ‘Megalithic Tomb’. For more water-sports activities and fishing, you can also visit the Keel Lough. The town of Keel and the surrounding area has several different restaurants and bars for all to enjoy. Some of our favourite destinations include the Chalet Seafood Restaurant, Gielty’s Bar and Restaurant and The Amethyst. The small village of Durrus located in County Cork is a very picturesque town. The village is known for its ironworks and offers stunning views of the North Atlantic Ocean. Nearby the village is the Bantry House and Garden, which is a 5-minute car journey from the town itself. The house is a beautiful stately home with an unforgettable tea room. When visiting the village, check out The Longboat Bar as well as Ross’ Bar! In County Clare you will find Ballyvaughan. It is on the North Atlantic Coast and has many popular spots and activities. The town has a rich history and, therefore, some of the best ‘things to do’ include the landmarks located around the area. In Ballyvaughan there is an area called The Burren, the limestone landscape is made up from its unique history. One of the best way to explore the area is with local guides and historians, who should also take you on hikes around the Burren Hills and the Aillwee Cave caverns. Our most favourite activity in the area is the Burren Birds of Prey Centre. At the centre you can get up close in person to numerous amounts of birds of prey and owls. The centre also has a mixed amount of flying displays per day. It is a great place for bird lovers and to learn about birds of Prey. It is a great way to spend a few hours especially the Hawk walk which. A once in a lifetime opportunity. Around the town there are multiple bars and restaurants. The O’Loclainn’s Irish Whiskey Bar is a unique take on the whiskey bar theme…recommended! In the County of Galway, you’ll find the town of Clifden Connemara along the Wild Atlantic Way’s North Atlantic Ocean Coast. The town is filled with many fun historic centres, including museums. It is also surrounded by landmarks including the Alcock and Brown Landing site. Sport is also a big part of the town, with two nearby golf courses and the opportunity for daily water sports in the bay of the town. The town offers many activities including The Point Equestrian Centre and Pony Trekking and Bike Tours. Fun for everybody. Pony tours can take you along the beautiful Mannin Bay Blueway, which is the beach/bay the town sits upon. The Clifden castle is a popular tourist attraction. The history of the building is unique and interesting to all visitors. Around the town there are plenty of bars and restaurants. Some of our favourites being The Griffin Bar Live Music Venue, Mannions and Off the Square. The Station House Museum, The Rifle and the Art gallery of the town are also must-see attractions. Kenmare is often referred to as the jewel in the crown of County Kerry thanks to its beautiful location, attractions and food. Near the town is the Killarney National Park. You can take guided tours around the park, past the Upper and Muckross lakes as well as the Lough Leane. Through your journey you are for sure to discover the beauty of what the South West of Ireland has to offer. Other great sights to see in the town include Cromwells Bridge, the Heritage Centre, The Stone Circle and the Reenagross Park located just outside of the town. The town itself has many bars and restaurants for you to choose between. The Purple Heather Bistro and Pub is a top recommendation for good pub grub. Enjoy! Doolin’s most known attraction is the Cliffs of Moher, located nearby and is a top attraction among the things to do on the Wild Atlantic Way. There is also the Clare Coastal Walk Project, that goes hand in hand with the Cliffs. The town also has nearby Golf courses, numerous shops and a visitor’s centre. Making it ideal for everyone. The cliffs of Moher of course are the most known attraction to the area. They offer a view over the North Atlantic, from over 700 feet above sea level. Some even say they can see America from here…! You can enjoy a bite to eat in the visitor centre café, which offers beautiful views of the cliffs itself. Around the town of Doolin there is not much to do in terms of attractions. But there are several small café’s, restaurants and bars. One of our favourite spots is the Riverside Bistro which sits beside the Aille River, running through the town. Glengarriff is a small village in County Cork. Located near the Garinish Island, the village has many attractions including a golf course, walking experiences and beautiful gardens. The hiking trails of the Beara Way offer a unique way of seeing the beauty of what Cork has to offer. It might be remote, but it is place of beauty…you’ll regret to have missed if you don’t take up the opportunity. Similar to the Bantry house and Garden, talked about above. From personal experience, it is great to get up and close to everything the museum has to offer, including the beautiful natural waterfall. The Bamboo park of the village creates a wonderful park to take the family to and have a relaxing picnic or walk. 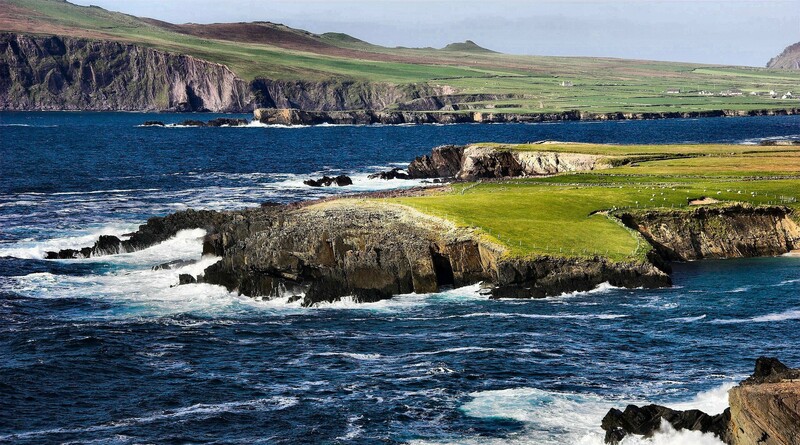 Other attractions include the Woods nearby, the golf course and of course the Garinish Island. The Village also has multiple bars and restaurants, which you can enjoy a relaxing meal after a long day walking and seeing the scenery. The Lough Avoul Inn is a wonderful small pub.